SOLAR FUNERAL news: ICON GALLERY - Valiace b/w The Pact 7" AVAILABLE NOW! 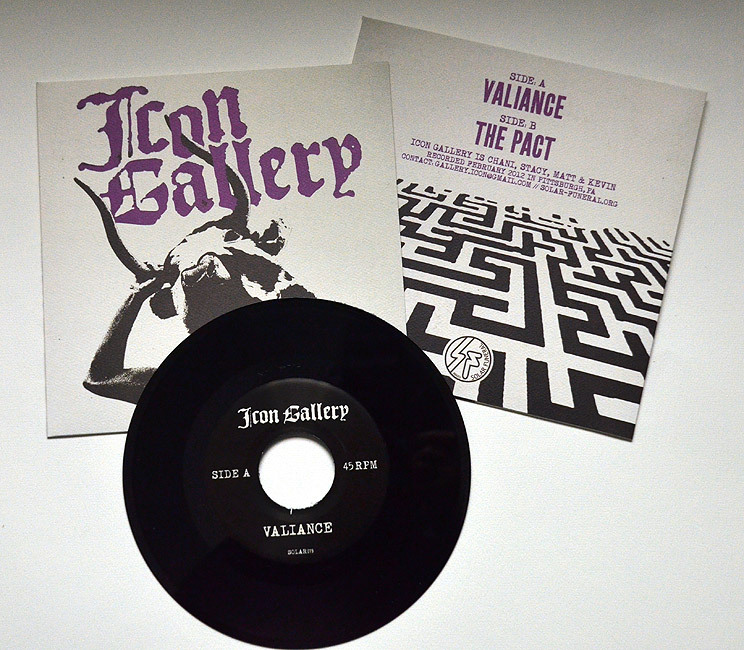 ICON GALLERY - Valiace b/w The Pact 7" AVAILABLE NOW! 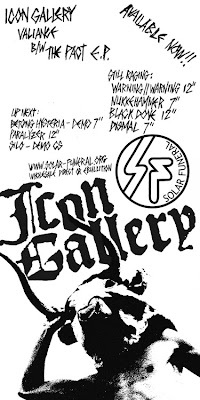 SOLAR019 :: ICON GALLERY - Valiance b/w The Pact 7"
All pressing plant boiler meltdowns aside, the new ICON GALLERY 7" has persevered against all odds. I fell in love with this band once I heard their demo, and after an LP and a 7" I am happy say that their newest E.P. is now available from SOLAR FUNERAL. Dark, driving punk rock with great riffing and operatic vocals. This fantastic 2 song EP will give us a look through the window into what's in store on their next LP. Get in touch for wholesale, or contact Ebullition. Trades considered.